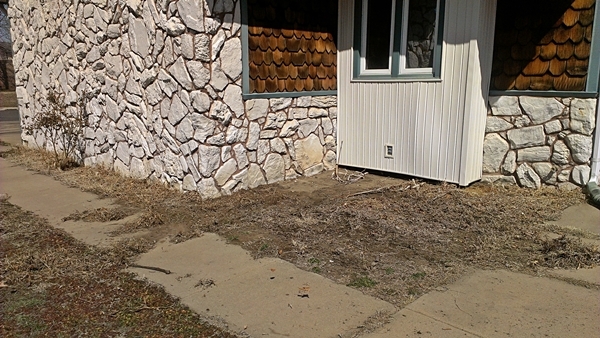 Many of you that have ever come to our house , you’ve seen for yourselves just how horrible the front “flower bed,” or better known as the crabgrass and weed bed, has been. It was bad. When we moved it there was a giant evergreen bush in it that was half dead and full of nasty bagworm things. Gross. So we had that torn out a few years back. I attempted several times to grow plants in the flower bed. But I kill most every plant I touch. So that didn’t work out. In between planting attempts, it has just overgrown with weeds and grass. Ugly, gross mess. So Kaden and I finally fixed it this week . 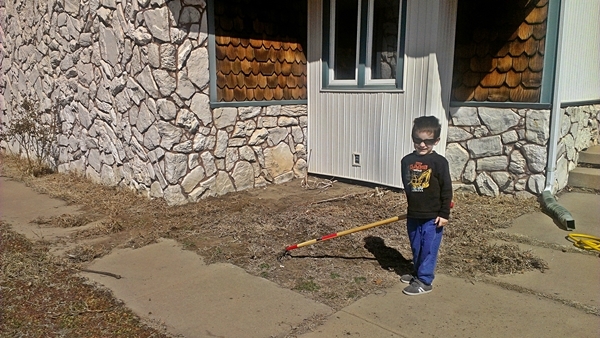 He helped me hoe it and get all the crap out. It was hard work. Such a good helper. After we got everything out, we went to Lowe’s and got that garden fabric stuff that you put down to keep weeds and stuff from coming up, and rocks. Lots and lots of rocks. We ended up going back about 10 times for more rocks. I severely underestimated just how many bags of rocks I would need. -_- Oh well. I now have some pretty nice arm muscles. I ordered a solar birdbath fountain thing and put that out there with a couple ceramic pots I got off craigslist for pretty cheap. I got a few flowers and planted them in the pots. Hopefully they last a while before I kill them. 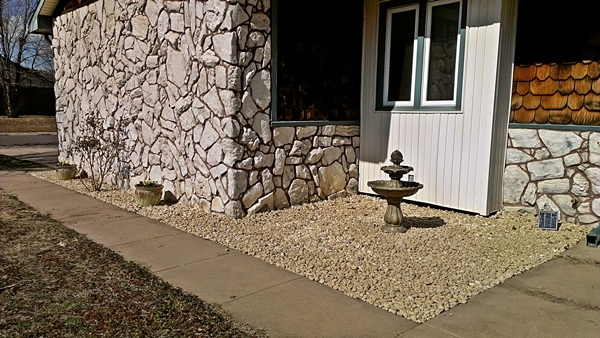 We got all the rocks spread out, and voila, rock bed! It’s still not as glamorous as I’d like, but since I lack plant skills, it’ll have to do.